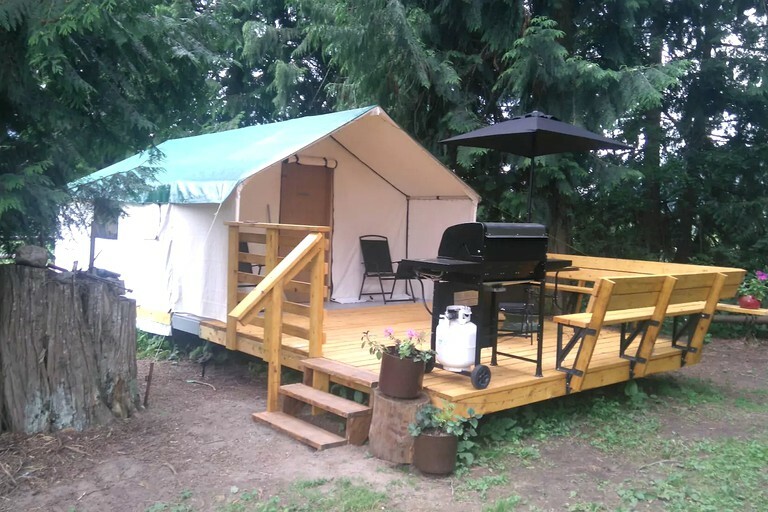 This amazing glamping tent rental is located near Enderby, British Columbia, and can accommodate up to three guests. 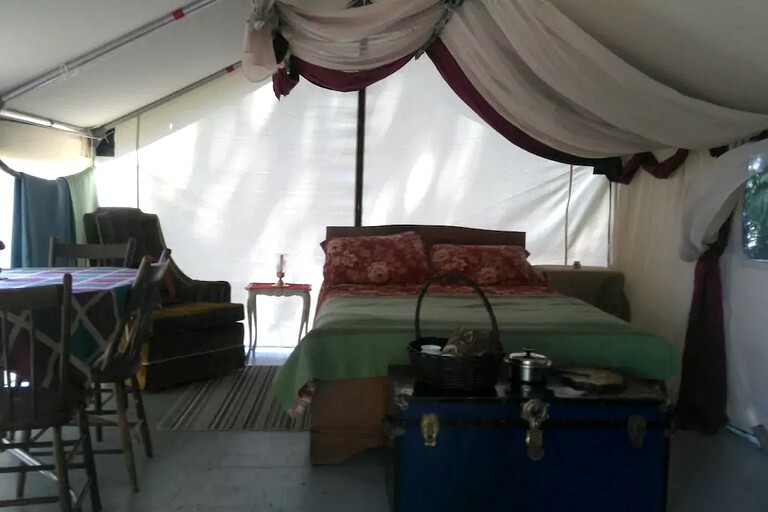 This tent has a full-size bed, a cot, and a comfortable armchair. 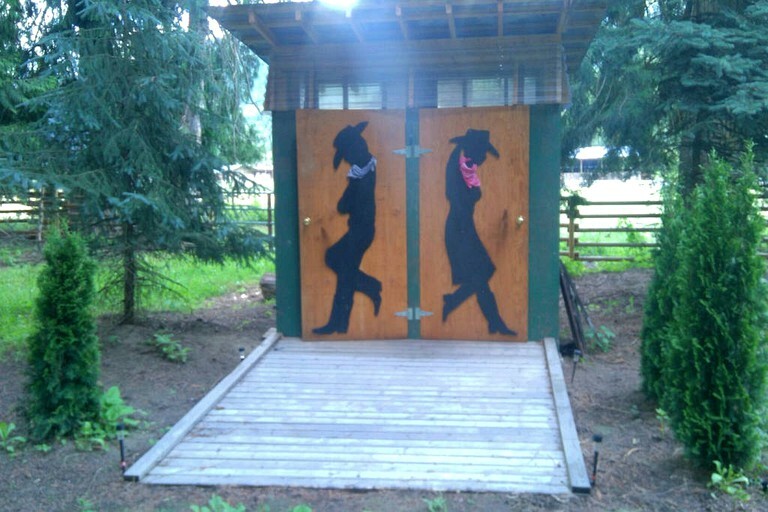 Nearby, there are two outdoor toilets for guests to use. Linens and towels are provided. A dining table with seating for three sits next to a window that overlooks the beautiful outdoor landscapes. Guests will be provided with some cooking utensils, pots, and pans. 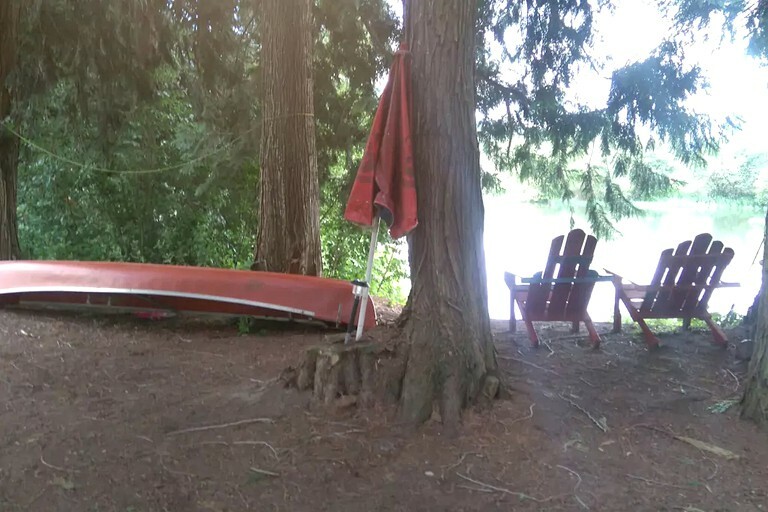 This property has direct access to the Shuswap River for guests who want to swim, fish, kayak, and enjoy other water sports. There are kitchen facilities, a full bath, and a charming outdoor deck for guests to admire the views and take in the sun. 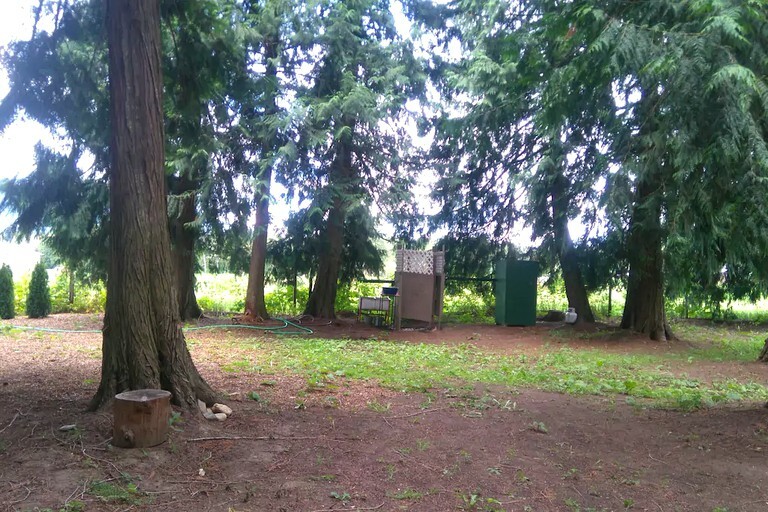 This property is located in Mara, British Columbia, and is situated on a picturesque orchard. 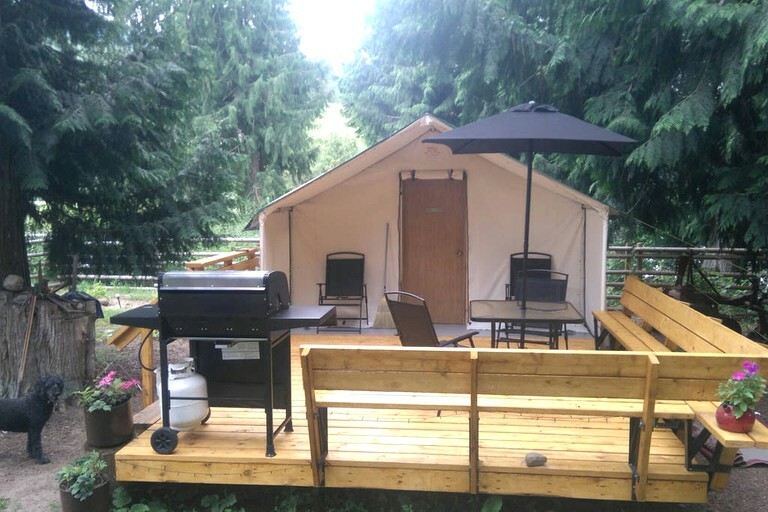 Guests will have access to Shuswap River, which is within a short walk from the property. 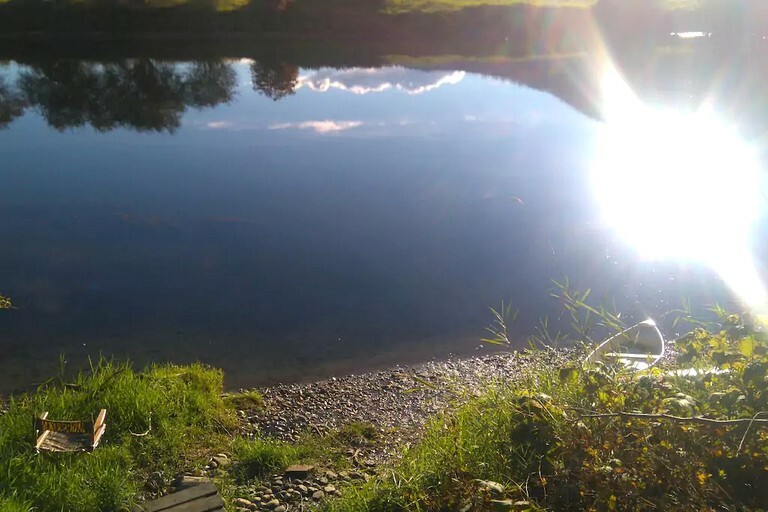 Mara Provincial Park is five minutes north of the property and is a popular area for picnicking, fishing, swimming, boating, and more. 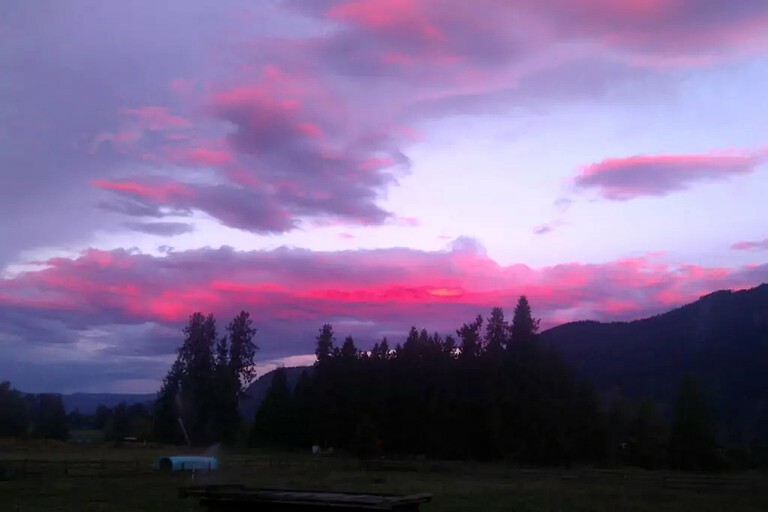 Enderby Cliffs Provincial Park is approximately a 15-minute drive south of the property and features astonishing cliffs that tower above the Shuswap River and offer breathtaking views of the Shuswap and North Okanagan regions. 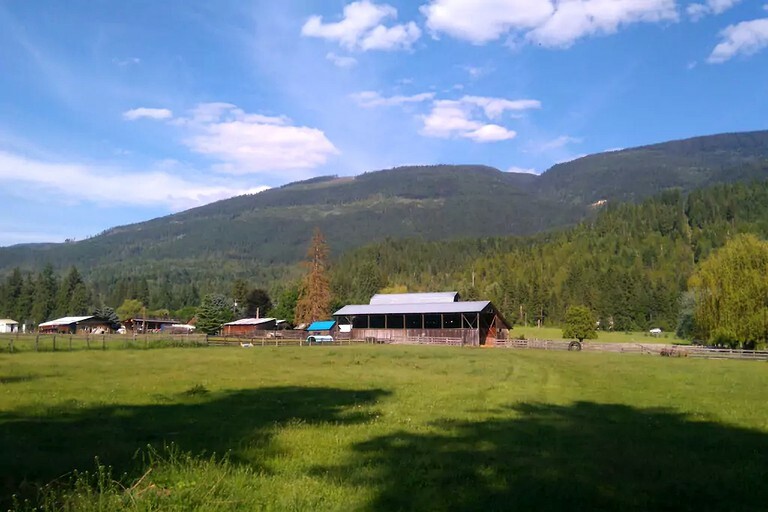 While staying in the area, guests will have direct access to Shuswap River, where there is plenty of fishing, swimming, kayaking, and canoeing to do! The nearby Mara Provincial Park is a great spot for families to enjoy picnics, as well as offering plenty in the way of water sports. 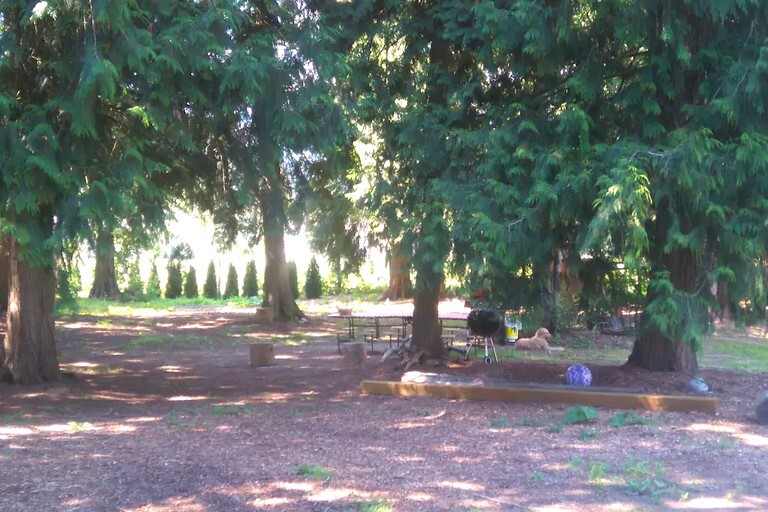 Boating, kayaking, and canoeing can be done here, where there are also plenty of undercover eating areas to supervise from. The Enderby Cliffs Provincial Park is 15 minutes south of the property and features walking trails that lead up to the towering cliffs, where guests can steal some unbelievable views of the surrounding area. The nearby city of Kamloops is home to the Sun Peaks Resort, where visitors can enjoy the ski slopes in winter, or go hiking and biking in during summer. The Kamloops Lake offers great lakefront views of the bluest water around and is well-known for the fishing, canoeing, swimming, boating, and kayaking that can be done there.